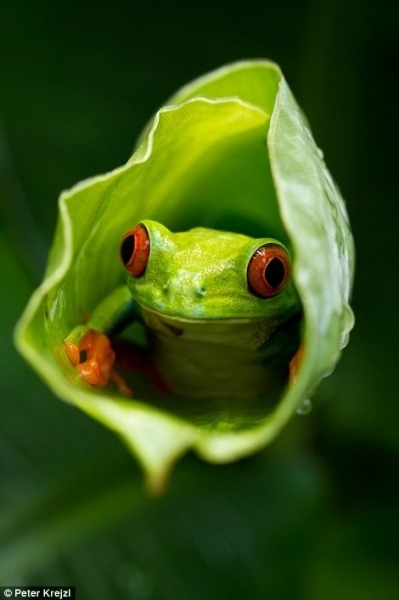 The red-eyed tree frog is found in tropical forests from southern Mexico through to eastern Panama. They prefer the lowland rainforest areas close to rivers and nearby hills. Colours and textures help them blend in with their surroundings, making the tree frog well camouflaged. 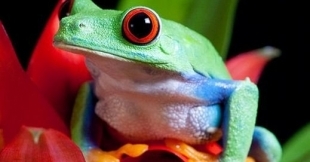 Red-eyed tree frogs sleep with their bright red eyes and feet, and brilliant blue sides and thighs hidden, so that their green bodies blend with the leaves they rest on. 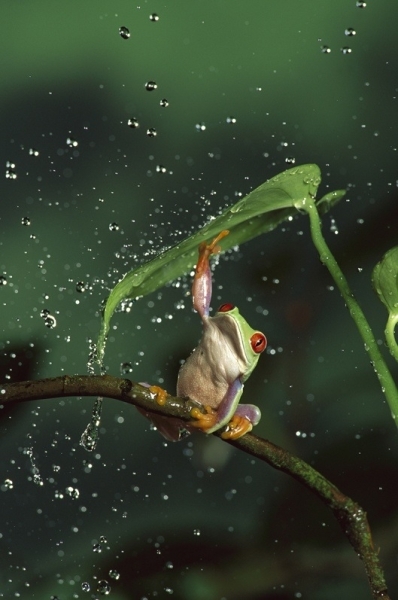 If threatened, the tree frog leaps up and reveals its bright colours and this may confuse the predator. 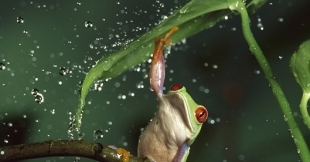 The red-eye tree frog eats invertebrates including flies, crickets and moths, and even smaller frogs. They are nocturnal and they usually hunt at night. 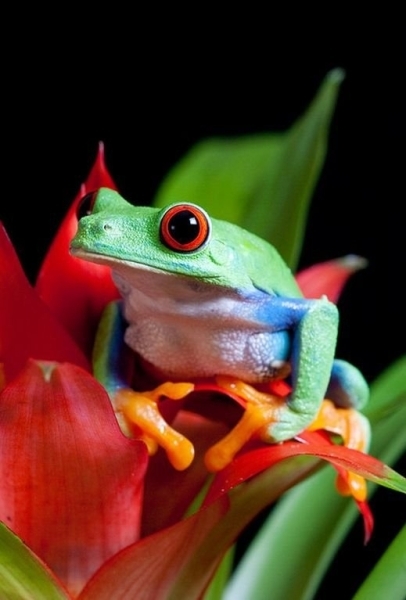 Red eyed tree frogs are not considered threatened in their natural environment. However there has been much concern about the overall condition of the rain forest habitat in which they reside. 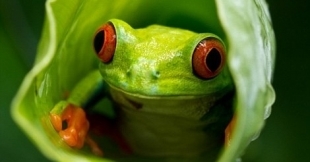 Global warming, deforestation, climatic and atmospheric changes, wetland drainage, and pollution have caused dramatic declines in the amphibian population in, and among the rainforests of Central and South America.